Is BPA Free Safer Than BPA? Is “BPA Free” Safer Than BPA? 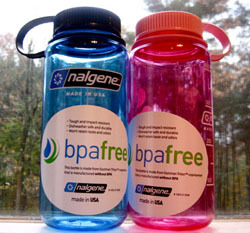 Companies advertise “BPA-free” as a safer version of plastic products ranging from water bottles to sippy cups to toys. Many manufacturers stopped using Bisphenol A to strengthen plastic after animal studies linked it to early puberty and a rise in breast and prostate cancers. “Our study shows that making plastic products with BPA alternatives does not necessarily leave them safer,” explained senior author Nancy Wayne, a reproductive endocrinologist and a professor of physiology at the David Geffen School of Medicine at UCLA. Using a zebrafish model, Wayne and her colleagues found that exposure to low levels of BPA and BPS?equivalent to the traces found in polluted river waters?altered the animals’ physiology at the embryonic stage in as quickly as 25 hours. The UCLA team, which included first author Wenhui Qiu, a visiting graduate student from Shanghai University, chose to conduct the study in zebrafish because their transparent embryos make it possible to “watch” cell growth as it occurs. Researchers have proposed that endocrine-disrupting chemicals may be contributing to the U.S.’ rise in premature human births and early onset of puberty over the past couple of decades. 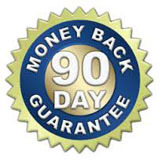 Next articleCan Adults Over 60 Gain Muscle Mass and Strength?